We install tile floors, showers, fire places, back splashes and more. 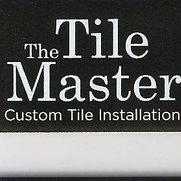 The Place The Tile Master is a firm that installs tile floors, showers, fireplaces fronts, back splashes and more. They serve Seneca, Clemson, Pickens, Easley, and Greenville. They are owned and operated by Josh Fooks. The Experience/Value/Service The Tile Master has done the tile in our entire home. The last project was 1,500 sq. ft. tile floor. They use the latest materials and are focused on preparing the subfloor using Schluter Ditra systems to assure crack free tile and grout. Ditra serves as a waterproofing layer that protects moisture-sensitive substrates, works as a leveling agent, and a thermal barrier. They take pride in their work and stand behind their product. I highly recommend The Tile Master. I'm a general contractor in in Greenville, SC. I've used The Tile Master numerous times and they've always done a top notch job. They've installed all types of ceramic and marble for my company. They always clean up after themselves and do top quality work! We do high quality renovations and the Tilemaster staff has provided top of the line work and scheduling for our projects for several years now. I would highly recommend them to anyone looking for quality tile work. The entire team from Tile Master did a fantastic job. They were able to point out important aspects that needed to be considered. They were able to reduce the load factor on the floor by over six hundred pounds. 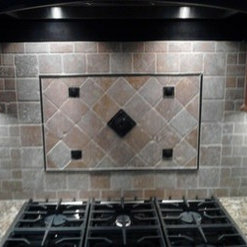 They have the experience that is truly needed to permanently resolve any type of tile work. The Tile Master guys do absolutely great work. They are very professional and strive to make every detail perfect. The job entailed replacing a Fiberglas tub/shower with a tile walk in shower and replacing a second Fiberglas shower with a tile shower. A much smaller project was replacing a linoleum floor with tile. The results of all were great. Josh is prompt for estimates and on schedule for the work he does for me. He works well with the home owner to ensure that the finished project is exactly what they had anticipated. Josh and his company are always very professional and a pleasure to work with on the custom homes we design and build. We have used Tilemaster several times in the past, and have always been impressed with the quality and timeliness of their work.